Digging and operating heavy equipment on farms and ranches across the country can cause damage to underground pipelines and utility lines. Pipeline strikes can cause serious injury, including burns, asphyxiation, electrocution, and even death. POAS is offering farmers and ranchers a variety of free resources to help keep them safe and to avoid costly damage and service outages that may affect their local communities. * According to statistics published by the Common Ground Alliance, farmers and ranchers damaged underground utility lines and pipelines on average of 2.64 times per day in 2017. * Under certain circumstances, pipes, and utility lines can be buried 10 to 20 feet from marker signs, and they don’t always follow a straight path between markers. * Underground pipeline and utility line depth varies. Lines can be less than 12 inches below the surface. 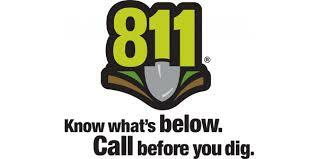 farmers, ranchers, and private landowners when you call 811.